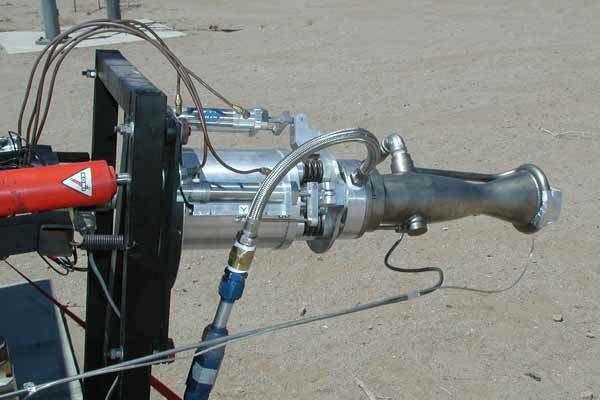 Flometrics test of a fuel pressure powered hydraulic thrust vector control system. 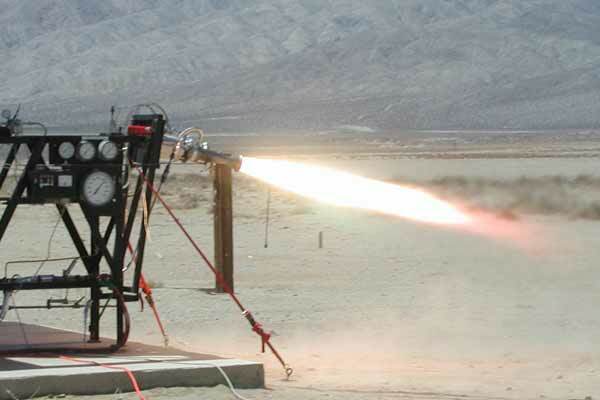 We tested our LR-101 Atlas vernier with a thrust vector control system of our own design. The goal is to be able to fly a rocket with a low thrust to weight ratio, so it can attain very high altitudes. 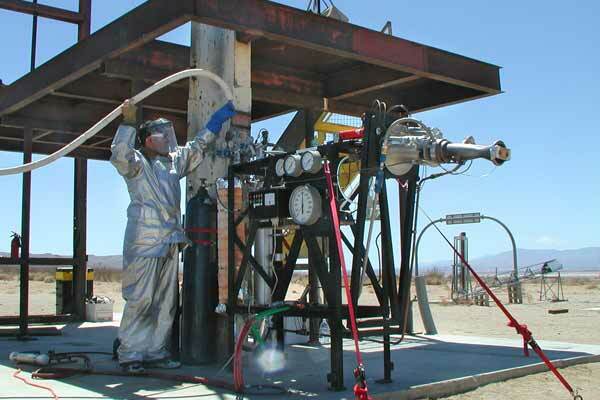 Testing of a gimbaled engine firing in the Mohave desert. The Gimbal system worked well. Hydraulic cylinders with solenoid valves were used to move the engine using fuel pressure and slide pots were used to monitor position. 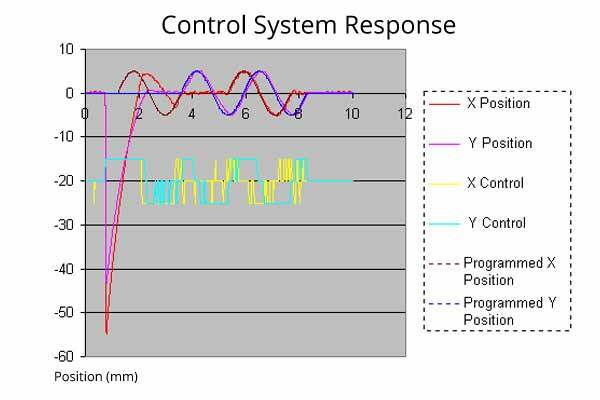 The system was controlled via a laptop computer using LabView. The thrust was only measured in one direction, so it changed as the engine was deflected. The regulators have about 60 psi of droop. The LOX pressure continues to fall off while the fuel pressure holds steady because the more of the cold LOX tanks walls are exposed to the incoming helium as the level falls. The nozzle deflected on startup, but the control system recovered and followed the programmed position pretty well after that. Each mm corresponds to an deflection of about 1/2 degree, so the system deflected +/- 2.5 degrees at a speed of 5-20 degrees per second. The control signals represent what the valves were doing. The control system is on/off with orifices in each hydraulic cylinder to control the speed of actuation. The next step is to hook up our R-C allen artificial horizon and fly our liquid fueled rocket under automatic control.